Many entrepreneurs don’t realize it but as small-business owners we have more options to save on healthcare costs than any other group of Americans. The tax-planning and cost-saving strategies can be phenomenal. It simply takes a little bit of research and consulting with professionals to create the perfect plan for you. Here are important year-end healthcare savings and tax strategies to implement for every small business owner to consider. Keep in mind some of these deadlines relate to the December 15, Insurance Enrollment deadline, and other relate to the tax strategies that need to be in place before December 31st. Review these carefully as they could help you save thousands of dollars when you build your plan of attack. This is a huge benefit for small-business owners that cannot be taken advantage of by average Americans. Health insurance is 100% deductible for a small-business owner, whether you cover your other employees or not. A non-business owner would have to try and itemize this expense — and to no avail. However, if you own a small business DO NOT try and itemize. As a sole proprietor (or LLC operating as a sole proprietor), you’ll simply take this deduction on the front page of your 1040 tax return. But if you operate your business as an S-Corp, it’s required and critical that you report the payment of your health insurance in a specific manner. Your W-2 as a shareholder/employee needs to indicate the amount of health insurance paid by the company on the shareholder’s behalf. If it doesn’t, the IRS can disallow the deduction. YEAR END TIP: S-Corp owners issuing their final W-2 for the year need to indicate the amount of health insurance paid by the company in order to take the deduction. Take an employees’ health insurance tax credit. If you actually do pay for some portion of your employees’ health insurance premiums, the Small Business Healthcare Tax Credit for Small Employers is ripe for the taking. This little gem is a literal dollar-for-dollar tax credit against any taxes you owe and up to 50 percent of any healthcare premiums you pay for on behalf of your employees. There are a number of rules that really aren’t that bad, but they do require you to cover at least half of the cost of single (not family) healthcare coverage. In addition, you must have fewer than 25 full-time equivalent employees, and those employees must have average wages of less than $50,000 a year. YEAR END TIP: Re-evaluate your healthcare plan for your employees that begins January 1, 2019, and make sure your payments on their behalf qualify for the tax credit. Use the Health Savings Account (HSA) strategy. This strategy is as strong as ever and a huge opportunity for the small-business owner. Although non-business owners can use a HSA, as a small-business owner you have much more control over your health insurance plan and can utilize creative strategies to acquire the right type of insurance to allow for an HSA. In order to qualify, you have to enroll in a high-deductible health plan (HDHP), and if you’re generally healthy, this is a great chance to save on premiums and avoid the doctor as much as possible. In the meantime, your HSA are deductible from your gross pay on the front page of your tax return, potentially putting you into a lower tax bracket. In 2018, the tax deduction is up to $3,450 for singles and $6,900 for families. The funds grow tax-free and aren’t a “use it or lose it” plan. Grow and build the account for your future healthcare needs. You can also spend the money tax-free on qualified medical expenses, and you can invest the money in much the same way you invest an IRA. You can even invest HSA funds in real estate. April 15, 2019 – Deadline to contribute to your HSA for 2018 and receive the tax deduction on your 2018 tax return. YEAR END TIP: The important tip here is that you want to choose the PROPER insurance for 2019 NOW, or you won’t get the HSA deduction in 2019. It takes planning NOW in order to get the write-off next year and your deadline is December 15, 2018. NOTE- You can still make the contribution for the 2018 HSA deduction up until April 15, 2019. 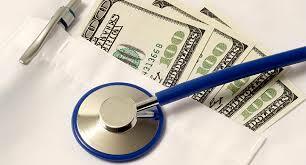 Consider the Health Reimbursement Arrangement (HRA). This is a fantastic strategy strictly for business owners, and it really benefits those with higher-than-average medical expenses. The HRA allows you to set up your own “benefit plan” for health care and reimburse yourself for ALL of your health care expenses — thereby getting a 100 percent write-off for all of your medical expenses. Now, this strategy must be used by a small-business owner, and again, the average American can’t even dream of implementing this strategy. The only challenge can be the structure you need to use in order to make the plan work. Sometimes it takes a little extra business planning and structuring — and certainly some attention to bookkeeping — to make it happen. But again, it can be very lucrative and worth the extra time. YEAR END TIP: Adopt your Health Reimbursement Plan by January 1, 2019, so it is effective for the entire year of 2019. With a little bit of tax planning with a CPA that understands the HRA, you can take massive tax deductions for your healthcare expenses over and above your health insurance. Choose the right health insurance plan. It’s interesting how it’s now become an important year-end issue with the advent of the “enrollment period.” We need to be thinking about the right type of insurance plan for next year — now and while we consider our tax strategies. Enrollment began November 1, 2018 and you have until December 15, 2018 to find the right type of insurance. It’s miserable I know. I’m in the same boat. It’s a lot of work and DO NOT WAIT UNTIL THE LAST MINUTE! Make sure also to understand the types of “metal” health insurance plans and the differences between each one. Essentially, you will have to choose from platinum, gold, silver and bronze plans, with different benefits, deductibles and, of course, premiums. Generally, the platinum plans provide the greatest benefits and lowest deductibles. On the other extreme, the bronze plans have high deductibles opening the door to the HSA and are also the most affordable. Keep your anticipated health in mind as you try and choose the right type of plan for your situation. Good News!! There is NO penalty in 2019 for not have qualifying insurance. Now with that said I’m not recommending that you don’t get insurance. Don’t throw caution to the wind and go around insured with a possible major medical accident or expense looming. However, if the only reason you were getting insurance was to avoid the penalty, you’re now in the clear! Be aware of what enrollment options are available in your area. Are you using a state exchange or HealthCare.gov? Don’t feel you are stuck with these exchanges. They can be a great place to start, but shop around to understand your options and then seek out a provider directly or through an insurance agent. Also, don’t forget the open market. The private marketplace for insurance is still alive and well. Finally, many shopping for insurance don’t realize that the “network” is the real issue. As you look closer, you will be surprised to see the wide range in premiums among the various types of “metal” plans. The reason isn’t just the benefits — it’s also the network of doctors that come with a particular plan. Many people don’t realize that the savings under certain policies are because the insurance company provides a smaller network of doctors under the plan, and it may be stripped of additional benefits, such as dental or vision care. Bottom line, it’s important to have a coordinated plan for your taxes and your healthcare expenses. They are related to each other more than you may realize. Don’t leave it to chance. Plus, if you have more than $5,000 a year in out-of-pocket medical expenses, e.g. co-pays, deductibles, prescription drugs, dental, eye care, chiropractic, etc., then chances are, you could benefit from some additional planning. Just imagine if you could deduct 100 percent of these medical costs — it could be life changing. As you can see, this is a BIG topic, but I break this down in Chapter 7 of my book “The Tax and Legal Playbook- Game Changing Solutions For Your Small Business Questions”. Don’t give up and keep learning!! There are a lot of variables to consider when designing your healthcare strategy. The savings around every corner.